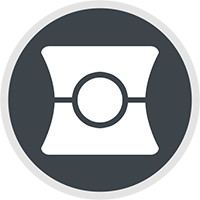 Use our desktop app Capture, to quickly record the task you want to explain. Publish your finished Capture project to Clarofy. Send a link via email, Twitter, Facebook or Pinterest. 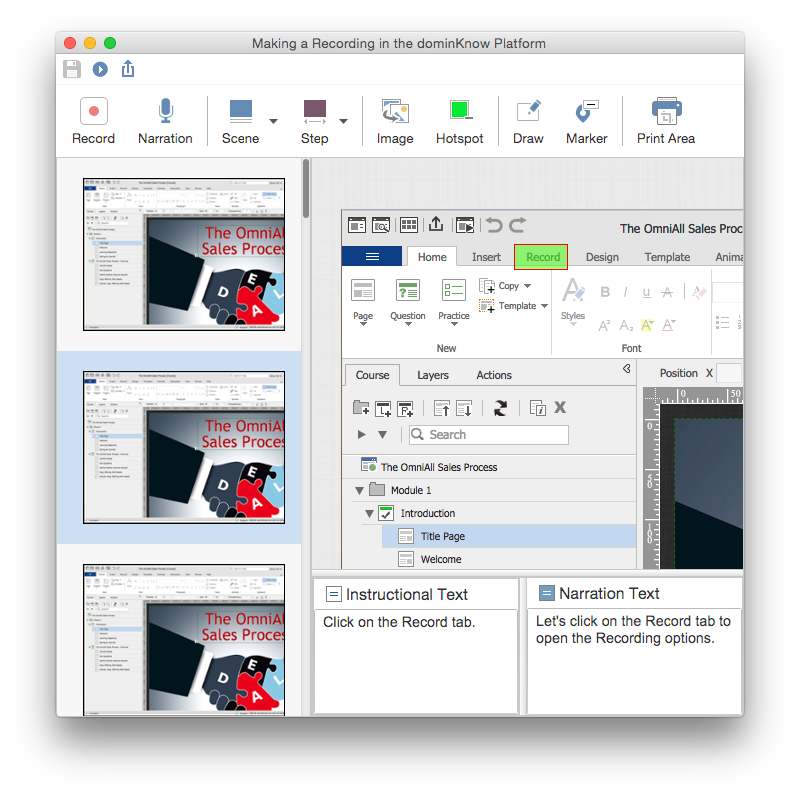 Available for both Windows and Mac platforms, dominKnow Capture helps you quickly and easily create software lessons. Simply start the Capture application from the Contribute page then carry out the steps you want to capture. Capture automatically determines where you’ve clicked on the screen and generates basic instruction text based on what you’ve selected. You can also easily edit the captured instructions. Once you've made a capture you can quickly add highlighting or arrows using the Draw tools or tooltips using the Markers tool. Help your learners better navigate the learning process. 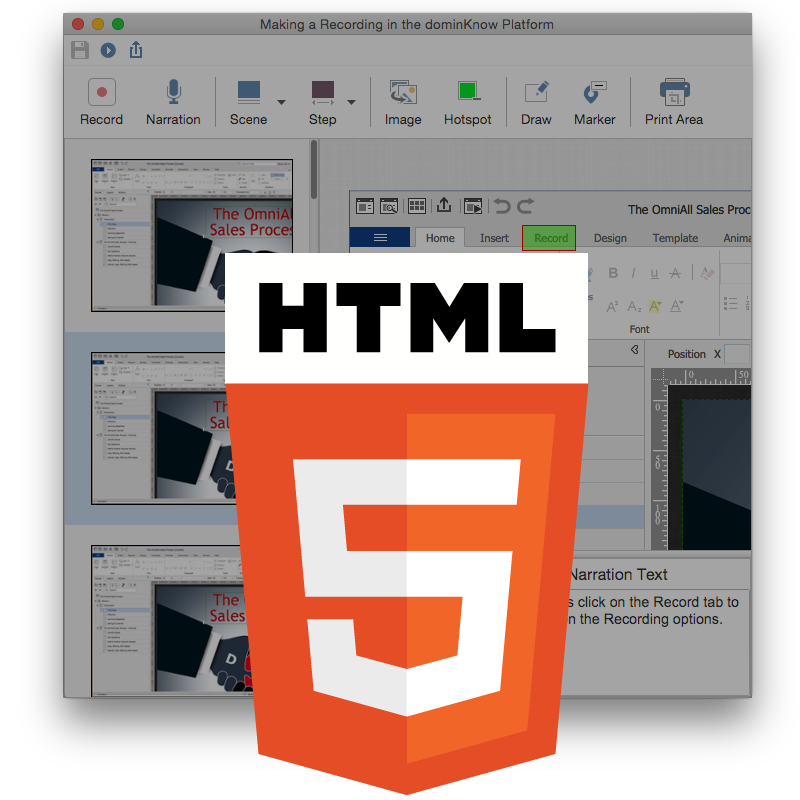 The published Capture file is HTML5-based, so your software lesson can be viewed on computers or mobile devices, whatever's handiest for your users. When you finish a Capture lesson, publish it to Clarofy then share it with your users! Clarofy is a service offered by dominKnow Learning Systems. The dominKnow team is passionate about helping organizations improve their employees’ performance. Clarofy uses Capture, one of the content authoring modes available in the dominKnow Platform. The Platform helps authors make true-responsive content with Flow, traditional elearning with Claro or software learning with Capture – all in one place. And because it's a web-based platform it’s easy for teams to collaborate on a project, share content across projects, and bring in reviewers for feedback at any time.